Using Podcast Mirror with PodBean is simple. All you need is your podcast feed’s URL. 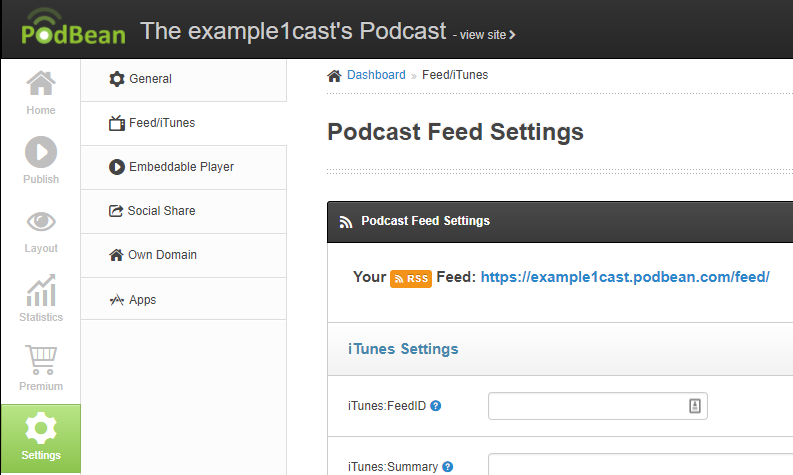 If you aren’t sure where your feed is located, you can find it easily by logging in to PodBean. Once you’ve logged into PodBean, navigate to Settings from the Dashboard. The button is on the left and is marked with a gear icon. From here click Feed/iTunes. At the top of the page, you should see a link labeled Your RSS Feed. This is the URL you will use to add your feed to Podcast Mirror.